Every Vietnamese knows the song Như Có Bác Trong Ngày Đại Thắng (Uncle Hồ Seems to Be with Us on the Festive Day of Grand Victory), written by Phạm Tuyên. It was composed in just two hours and recorded on April 28, 1975. It was broadcast in a special newscast at 5pm on April 30, when the prolonged war for liberation and unification ended with the fall of Sài Gòn Regime. It has since inspired and elated millions with its echoes of the nation’s triumph. The song will be featured in a January 14 concert, together with many other of Tuyên’s memorable songs, to celebrate his 88th birthday. When he was a boy, Tuyên had a great passion for music and was a self-taught musician. He studied the immortal works by Mozart, Beethoven and Tchaikovsky, as well as the folk songs of many nations, especially the treasure trove of Vietnamese folk songs. In early 1947, Tuyên joined the resistance war against the French. Those years served as a source of inspiration for his compositions. After the war, he returned to Hà Nội and worked as head of the music service at the Voice of Việt Nam Radio. Tuyên has composed more than 700 pieces of music. Many praise President Hồ Chí Minh and patriotism. The contents of these songs were appropriate for the young, idealistic generation at the time. After 1975, he created other popular songs about patriotism and the process of rebuilding the country. He also wrote many songs for children and young people. 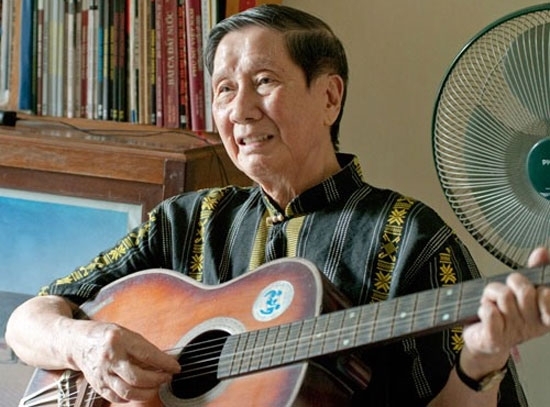 The concert will be hosted by famous journalist Lại Văn Sâm, who asked the family’s permission to narrate the event honouring Tuyên, whose talent and personality he admires. “He’s not only a talented composer but also an open-minded, generous, tolerant and patriotic person, a prime example for us to learn from,” said Sâm. Tuyên said it’s a gift for him when people know and sing his songs even when they don’t know who the composer is. Director Nam, musician Lưu Hà An and Tuyên’s daughter Phạm Hồng Tuyến worked together to arrange the concert without consulting Tuyên. The composer did not select any of the song to be performed at the concert. Director Nam said he wouldn’t reveal any information about the concert. He just said that the music show pays tribute to Tuyên’s career, talent and personality. Audiences will have a chance to enjoy the best songs he wrote. “There will be no special effects of sound and light, no dance either,” said Nam. "It’s all about Tuyên’s music that can revive people’s memories of the past. This is the concert for generations of audiences with patriotic songs and songs for children." The concert will take place at the National Convention Centre, Phạm Hùng Street, Hà Nội. Ticket prices range from VNĐ600,000 to VNĐ2 million and can be booked at www.dongdoshow.com.